NIGERIA: The Chief Says . . .
My facebook friend Ed Keazor posted this picture of a man called Chief Nwiboko Obodo. 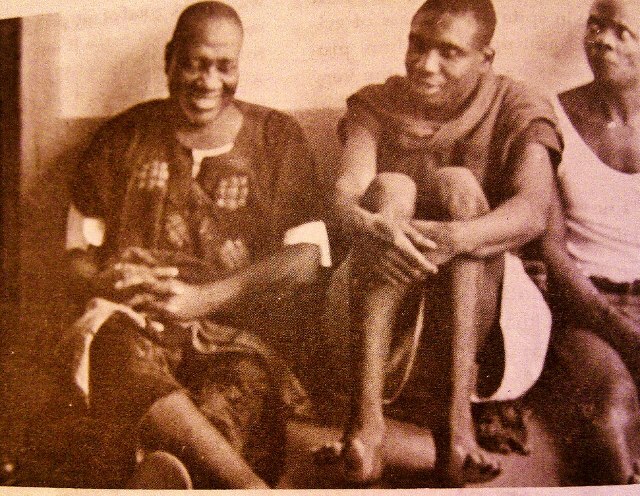 This 1958 picture shows the notorious Nwiboko Obodo (L) head of the Odozi Obodo cult in custody awaiting hanging. He was convicted of decapitating his wife with a bicycle chain. He was also suspected of at least 400 other murders. 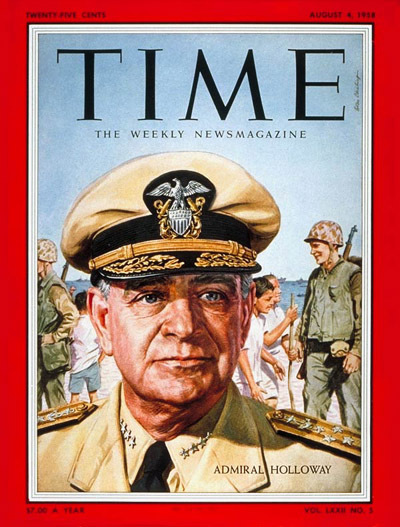 Below is the TIME magazine article on the case. In the vast British tropical colony of Nigeria, the back-country people of the Eastern Region have long been a troublesome lot to officialdom. Mostly half-naked farmers, they take unusual delight in staging bloody campaigns against vaccinations, and in setting schools on fire. Each time the police must come in to restore order. But of all the assignments that the police have undertaken, none has produced such eerie results as the search of the house of Chief Nwiboko Obodo. For months reports had poured in of a high homicide rate around the tiny town of Abakaliki, about 50 miles from the Eastern Region capital of Enugu. Men would go to their farms of a morning and simply disappear; women went to market and never came home. Police found evidence that since 1954 there had been more than 100 murders in Abakaliki. But it was not until they raided Chief Obodo’s house that they found the reason why. The most powerful arm of the society was a sort of Murder Inc. squad called Exepute, meaning “the Chief says . ..” It was the Exepute that carried out the grisly justice of the society against anyone who balked at paying the “taxes” the chiefs whimsically imposed, or against those whom the chiefs merely disliked. For the chiefs, murder was also a lucrative business: by tradition, they inherit “all property of the dead, including wives and children. Last week, while Chief Obodo languished in jail and his British counsel, Dingle Foot (brother of Cyprus Governor Sir Hugh Foot), prepared his defense, one of his sidekicks, Chief Idaka Igboji, faced trial for murder, along with ten accomplices. A steady stream of witnesses —those who dared talk—told tales of death by drowning or burying alive. Finally there unrolled the story of the specific murder in question—that of a farmer named Nwakriko Abam. Abam, according to prosecution testimony, had been invited around for drinks by some of the chief’s men. Suddenly his hosts seized him and slowly strangled him with a chain. His body was then brought before Chief Igboji, dismembered, tied to the victim’s own bicycle, and flung into the river. Abam’s crime: he had had the temerity to campaign against the chief in the last local parliamentary election.